Professor Eugene Lee passed away April 27 at the age of 86 in his home due to complications from a stroke. Education enthusiast, author and former director of the Institute of Governmental Studies and professor of political science Eugene Lee died in his Sonoma home April 27 due to complications from a stroke. He was 86. Described as quiet and unassuming, yet an extremely effective mentor and leader, Lee was a driving force in the efforts to bring financial endowment, political research programs and a specialized library to the institute while he was director from 1967 until 1988. "He was absolutely instrumental in building IGS, and we would not be where we are today without the foundation that he built," said Jack Citrin, current director of the institute and professor of political science. "What he did in creating IGS was to make a kind of interdisciplinary forum for research and politics and public policy." Born Sept. 19, 1924, Lee graduated from UCLA in 1946 and earned his Ph.D in political science at UC Berkeley before joining the faculty in 1955. Lee began his work at the institute - which provides research on nonpartisan state and federal politics and public policy - as a graduate student at UC Berkeley. Todd La Porte, a professor emeritus of political science and former associate director of the institute, recalled the passion Lee instilled in each of his undergraduate and graduate students, especially with the California Policy Seminar conferences. "We worked on a project called the California Policy Seminar, an activity that engaged faculty in different policy areas with the state legislature and agencies in Sacramento," said La Porte. "This was instrumental in helping crystallize graduate students in political science and was a signature of the institutes's activities." Apart from his tenure at the institute, Lee also worked in the UC Office of the President, and served as Vice President�Executive Assistant to former UC President Clark Kerr. He then served as first chairman of the Commission on California State Government Organization and Economy and was made a director of the Trust for Public Land and the Cal-Tax Foundation. 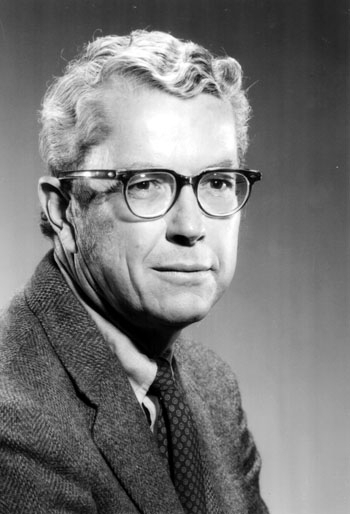 "He was very highly regarded, not just in California government circles but inside the University, and he studied the governance of systems of higher education, including the UC system," said John Cummins, who worked on the California Policy Seminar and was later recommended by Lee to become assistant chancellor in 1980. Beyond his involvement in politics and encouraging research, Lee remained an academic at heart, taking up teaching and visiting positions everywhere from the University of Puerto Rico to the London School of Economics and Political Science in the 1980s, eventually finishing his career as a professor of political science at UC Berkeley just before his retirement. To recognize his public service and political research, he was awarded the Berkeley Citation in 1999. Joanne Hurley, Lee's wife of 35 years, said he was a loving husband and father who always thought of himself as a teacher. "He always said 'I'm a teacher,' and he really cared about local government and his students," Hurley said. "After he retired, we had a wonderful life of traveling together to Cuba, Kenya, Russia and New Zealand where he got to play the role of a male spouse." Lee is survived by his wife, son Douglas Edwin Lee, daughter Nancy Gale Lee, daughter-in-law Susan Gahry, son-in-law Anoush Zebarjadian and grandchildren Alexandra Lee and Morgan Lee. An event in honor of Lee's life is planned for 4 p.m. May 12 at the Faculty Club.